Ashley Furniture Reviews - A True American Success! / Ashley Furniture Reviews – A True American Success! Ashley Furniture Reviews – A True American Success! Ashley Furniture have been operating since 1945. In that time they’ve grown in every way. They now offer a massive range of products, filling warehouses that stock everything to fit out your kitchen. Ashley furniture began in a single store and are now a well known name in home furnishings and have stores across the U.S.A, a true American success story. 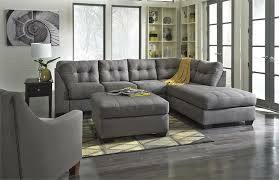 In this Ashley Furniture Reviews guide you will learn all about Ashley Furniture as a company, their sofa and living room collections and their furniture warranty. Ashley Furniture has been built on the ethos of supporting the customer. They believe a home is more than just a house and seek to give you the best of what’s on offer. They keep their products affordable, allowing everyone access to their product ranges. Ashley Furniture don’t sell directly to the customer but instead operate through Ashley Homestores. These are franchises and are located across the country. Ashley Furniture have product lines for the whole home. They offer collections for the bedroom, kitchen and dining, home office, outdoor ranges and accessories. Their core collection is their living room pieces. They also offer a number of room packages where you can outfit an entire room to fit a specific style or look. Ashley Furniture is all about variety. They have one of the most diverse product ranges available covering everything you could possibly need for your home. They keep most of their product lines at the budget level but they have some more expensive and higher quality ranges too. Ashley Furniture designs lean more towards the traditional. This means a lot of classic style choices and woods to complement that style of home. That isn’t to say it’s just for the traditional homeowner, they have some contemporary and more modern lines too. Within each of these you’ll find subsections dividing the units into different categories. They have a lot of traditional pieces but also casual, vintage and contemporary pieces. Ashley actually offers some of the most comfortable recliners to sleep in! Each of these give you a distinctive look and feel and your choice will be dictated by your personal preferences, or any existing furnishings you may have. There are various colours available from dark blacks and blues to lighter whites and pinks. There are a number of floral patterns to choose from if you’re drawn to that kind of style. Finally you’ll be able to choose the additional features. The recliners are the most customisable with the options for different reclining or swivel motions. There are also options for cup holders, plug sockets and adjustable headrestss. Ashley Furniture divide their products into various price categories. These go from a few hundred dollars up to around $2000. This caters for people with varying budgets and if you have limited amount to spend you’ll have access to furniture you’re looking for without breaking the bank. The Ashley Furniture living room collection is all about keeping the choice in your hands. The variety on offer is pretty overwhelming so it’s best to try and visit the store so you can see what’s on offer first hand. The modern features combined with traditional style make the furniture appealing to any homeowner. Ashley Furniture keep a close eye on their construction process from start to finish. They have regular quality checks from start to finish in order to keep standards high and remain consistent. They source their materials carefully and experts help them identify when something needs to be upgraded. They have specialists who research into the latest construction processes to keep improving their products. Ashley Furniture are one of the lower end brands with some very affordable furniture. As such you can’t expect the quality to match up to the more expensive manufacturers. Quality is something that you generally have to pay for so don’t expect the world from Ashley Furniture. That being said the workmanship isn’t bad and for the price it’s pretty good value, it just won’t last as long as some other products with bigger price tags. Ashley Furniture offer a 1-5 year warranty on their products, with the majority of labour covered for just 1 year. Different elements within each piece are covered for varying amounts of time so it’s worth talking to your dealership before purchase so you know what’s covered. The warranty offered isn’t the best out there but gives some peace of mind to you before purchase. There are a number of reports of them honouring the warranty so it shouldn’t be a struggle if something does go wrong. “I bought a dining room table and chairs at Ashley about a year ago. My husband and I inspected the workmanship at the store and were pleased with it.” - Carter J. “Ashley furniture quality is on the lower end of the scale. It's a shame, because I've found some really pretty pieces there” - Lee D.
Despite criticisms people tend to be pretty pleased with what Ashley Furniture are offering. They have a wide range of affordable products that can be customised and while they aren’t the best quality, they offer some value in their slightly more expensive lines. 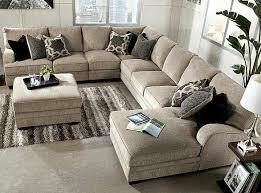 Generally the feedback is positive and people appreciate Ashley Furniture for their affordable but stylish nature. 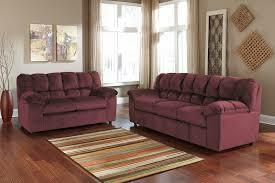 Ashley Furniture is the all round furniture store with a huge variety. The products, styles and designs on offer are impressive and it’s hard to think of what they don’t stock for your home. If you are looking for another brand with variety, take a look at Homelegance and Craftmaster who offer a huge variety of pieces as well. On top of the wide range of products there are a number of customisable extras for their product lines. Selecting the colour and materials makes a big difference to how a piece will look in your home. 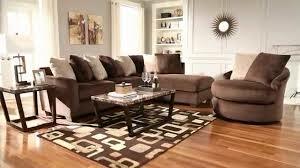 Most attractive about Ashley Furniture is their affordable pricing. They offer some really stylish furniture that will look great in your home at a fraction of the cost of other furniture providers. Ashley Furniture falls down when it comes to quality. They don’t have the most durable pieces around but in the furniture industry you get what you pay for. The furniture is still well made but it won’t last as long as other brands which is a shame. If you like Ashley Furniture's style I suggest you take a look at Broyhill furniture and Thomasville Furniture because they are both American made companies as well! Ashley Furniture is offering some value and catering to those on a budget. If you’re looking for affordable furniture then they’re definitely worth checking out and their slightly more expensive lines could provide you with some great value.